"We were shocked and over the moon." Roxy's parents adopted her when she was 4 years old, and over the years she was always the happiest, most active dog they'd ever met. Then one day, Roxy began to change. "In March, she didn't get to the ball before our other dog, Murphy, which was very unusual," John Redmond, Roxy's dad, told The Dodo. "We went to a local vet who thought she had an eye infection and gave us drops. 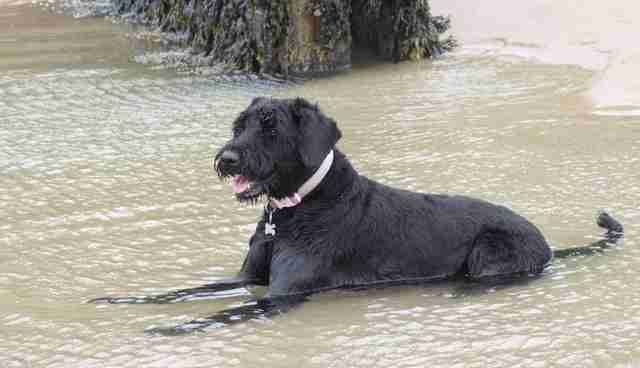 The next day she was bumping into things and walked off a sea wall." 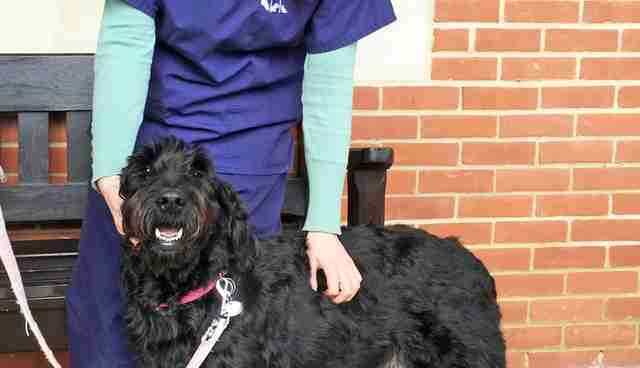 Roxy's parents took her to the Animal Health Trust (AHT) to see a specialist who could hopefully figure out what was happening to her. 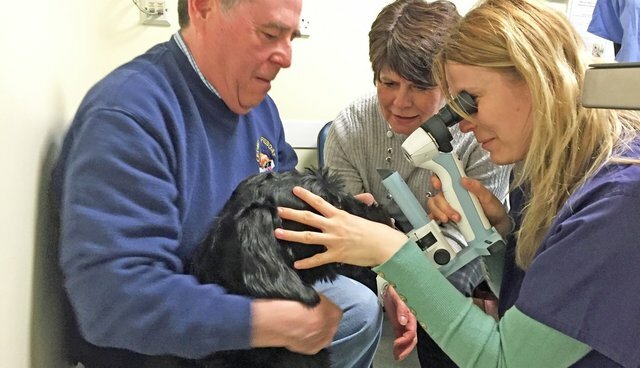 After examining Roxy, the doctor confirmed what Roxy's parents had feared - she was going blind in both eyes. 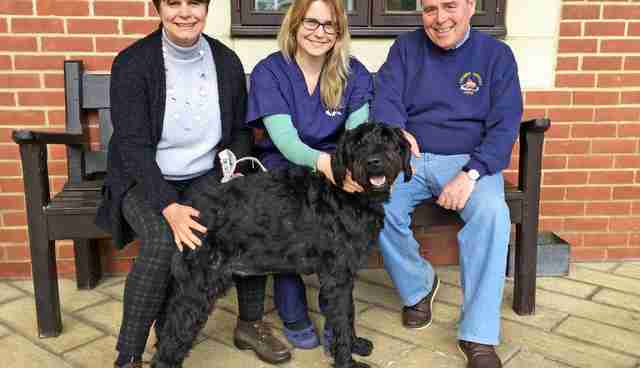 "Roxy was diagnosed with immune-mediated retinal detachment," Katherine Lawson, communications officer at AHT, told The Dodo. "Not all dogs respond to treatment and in many cases, like Roxy's, the exact cause is never found. This is therefore a highly unusual case." 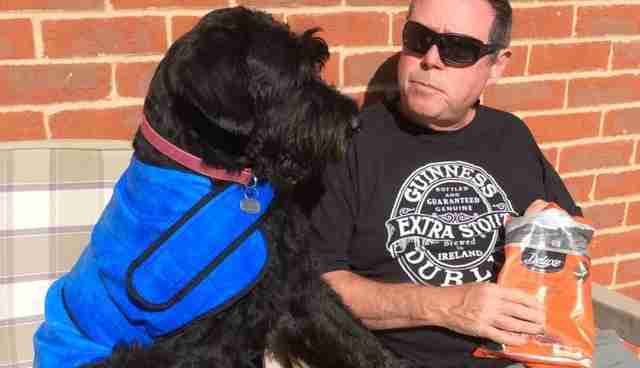 The disease usually only affects German shepherds, and the staff at AHT were unaware of any other cases of affected giant schnauzers, Roxy's breed. Roxy was started on steroids and her parents took her home, hoping for the best. "Roxy adjusted very well," Redmond said. "We placed a cat bell on Murphy for her to follow him, bubble wrapped the garden furniture and sprayed perfume on the dog flap so she could smell it." The Redmonds were slowly adjusting to life with a blind dog - until something incredible happened. Roxy was out for a walk when she reacted to a man walking towards her from 50 yards away. Shortly after, she moved her head back and forth as she appeared to watch children running around outside. Her parents were cautiously excited, and immediately took Roxy back to AHT to confirm the good news. "We were shocked and over the moon," Redmond said. "We emailed our vet who said she wanted to do tests before she could be convinced." After doing some vision tests with Roxy, the vet confirmed that she had in fact regained some sight in both of her eyes. Everyone was amazed, and Roxy couldn't have been happier. "She is still on medication, but has regained some sight in both eyes, so every day is a bonus and we just enjoy life," Redmond said.